The police reconsider case against payday lender; lost cheques; bond funds and pension innovation: the latest personal finance news with Paul Lewis and guests. 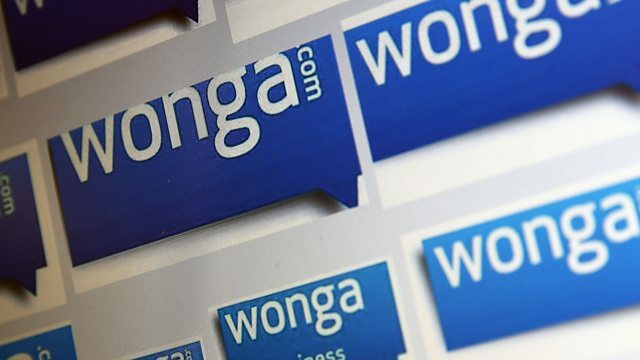 This week it emerged that Wonga sent letters from non-existent law firms to customers in arrears between 2008 and 2010. The company has been ordered by the Financial Conduct Authority to pay £2.6m compensation to customers. The City of London Police have confirmed they will re-consider opening a criminal investigation into this matter. Paul Lewis speaks to the Jonathan Smithers of the Law Society of England and Wales. Your cheque's in the post - should you be worried? A listener posted a cheque for £36,000 to his bank. It was stolen and paid in by someone else to an account in approximately his name. £20,000 was withdrawn. Barclays, his bank, have agreed to refund him only the balance of £16,000. What are his rights? And will the new cheque imaging service be any safer and quicker? Should new pensioners be forced to buy insurance so that if they spend all their pension funds they would still have enough to live on if they lived beyond 85? It's been suggested. And we find out what other innovative products are on the agenda for next April when pension freedom begins.